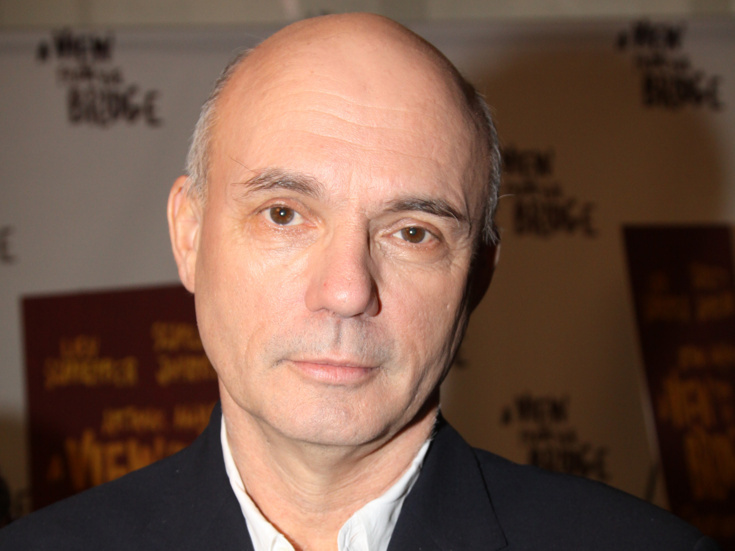 Gregory Mosher has departed the upcoming Roundabout Theatre Company production of All My Sons over a disagreement with Rebecca Miller, daughter of the late scribe Arthur Miller, on casting. Jack O'Brien has replaced Mosher as director of the Broadway staging, which will begin previews at the American Airlines Theatre as scheduled on April 4, 2019. "Despite our shared commitment to having a diverse cast in our production of All My Sons, Gregory Mosher and the Arthur Miller estate did not ultimately share the same vision of how best to achieve that," said Todd Haimes, Roundabout artistic director. "They couldn't agree on the specific casting choices that would lead to the richest-possible All My Sons for 2019, and thus, Gregory Mosher has decided to step aside. We welcome Jack O'Brien as our director, and we're looking forward to presenting his production of this Arthur Miller masterpiece this spring." According to The Washington Post, the casting rift began with a decision by Mosher to select actors of color to play the brother-sister roles of Ann and George Deever. Miller expressed disagreement as auditions were underway. "I am very excited to open my father's work up to diverse casting," said Miller in a statement to the Post. "Hence, an African-American Loman family in [director] Marianne Elliott's upcoming Death of a Salesman in London, and [director] Rachel Chavkin's upcoming multiracial [The] American Clock." Mosher told the Post, "My understanding is that [Miller] thought it would prevent the audience from engaging with the play if it wasn't historically accurate. We finally reached a point where we were not going to go ahead [together]." Set in Ohio in the aftermath of World War II, All My Sons centers on the impending guilt of Joe Keller in criminally manufacturing faulty airplane parts for the war. His partner, Steve Deever, was jailed for the crime. Mosher planned to cast Steve's adult children, Ann and George, with actors of color. "When Gregory suggested casting the Deevers as African-American, I wanted to be sure the concept held water historically and thematically," Miller continued, expressing further concern that Mosher's casting decision "was in danger of white-washing the racism of 1947 suburban Ohio." The last Broadway revival of All My Sons (2008) featured Katie Holmes and Christian Camargo as Ann and George Deever. A prior staging featured Jayne Atkinson and Christopher Curry (1987), with Lois Wheeler and Karl Malden originating the roles (1947). Roundabout's All My Sons has currently only announced its pair of lead stars: Tracy Letts and Annette Bening as Joe and Kate Keller, respectively. Further casting will be announced soon.